in a book produced for Edward IV, the first Yorkist king. It has further been noted that the livery colours of the Plantagenets were red and white and thus the white and red rose emblems reflected the family split. The Yorkshire Ridings Society itself on its website writes “250 years ago, on the 1st August 1759, soldiers of the 51st Regiment of Foot, a Yorkshire Regiment, took part in the battle of Minden… Reports of the battle mention that the British Soldiers picked roses and wore them on their uniforms, possibly in memory of their fallen comrades. News was in black and white in those days so the colour of the roses is not known.” which even sheds doubt on whether the flowers in question were actually white! However there is certainly a “white rose” tradition arising from these events and on August 1st, Minden Day, a celebrated British military victory is commemorated by Yorkshire regiments with the wearing of white roses. Whatever the precise circumstance were, events do indicate a developing association between the white rose of the House of York and the county of York, which reached its full development in the nineteenth century. The term ‘Wars of the Roses’ is believed to have been first used in the novel”Anne of Geierstein” by Walter Scott in 1829 who likely coined the term from the fictional scene in William Shakespeare’s play Henry VI Part 1, where the opposing sides pick their different coloured roses at the Temple Church. Subsequently, the Victorian fashion for matters medieval, evident in their Gothic architecture and numerous “follies”, seems also to have cultivated the link between York and the white rose symbol, with a crop of rose motifs appearing on the buildings of York! In the twentieth century the association was extended to embrace the entire county; almost all Yorkshire civic arms registered in this period prominently feature a white rose e.g. 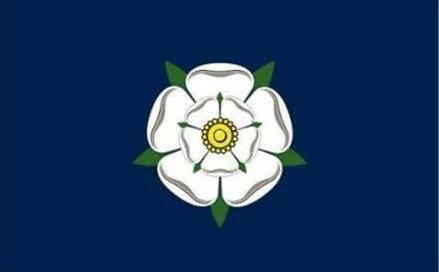 indicating the comparatively recent recognition of the white rose as the emblem of the county of Yorkshire. The combined badge seemingly indicated that the House of York, the white rose, was now combined with the kingship, the royal badge of the sun. The above image of a white rose from Edward IV’s book, in fact, looks rather like the rose is depicted against the rays of a sunburst. The rose en soleil device is incidentally said to have been the cause of the result of the Battle of Barnet in 1471 when Edward IV confronted the Lancastrian De Vere, Earl of Oxford, whose men wore a silver star. Through a mist De Vere’s ally, the Earl of Warwick, mistook the star for Edward’s rose en soleil and charged his own side. The resulting confusion lost the Lancastrians the battle! The rose en soleil badge was very specifically designed to represent Edward, Duke of York, as King; its appearance in these arms, in the twentieth century, is therefore a rather marked statement of the perceived association of the white rose with the locality. 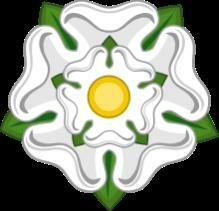 Not only was a basic white rose a symbol of Yorkshire but even the specifically royal, highly adorned one, was appropriated as a county emblem. Accepting this, the use of this device by the one riding does seem rather arbitrary, as any of the three might have an equal claim to use what was evidently regarded as a symbol of the whole county. To judge from military insignia however, it is arguable that the white rose was initially perceived as a more specifically West Riding emblem. It may be noted for example, that a white rose featured in the military colours of some local militia regiments during the Napoleonic period. A notebook in the National Army museum dated circa 1812, shows the regimental colours of some Yorkshire forces, of which only the Craven, Strafforth & Tickhill, Wakefield and West Halifax regiments included a white rose – several on the first named and one in the centre of the banner, for the other three. These locations are all located in the West Riding. Even so the white rose in this era seems not yet to carry any overt Yorkshire symbolism; none of the other regiments bore a white rose. 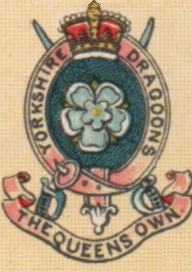 Most other militia units used borough or town arms, the Southern Regiment of West Yorkshire Yeomanry, for example, raised in Doncaster in 1794 and disbanded in 1821, used the arms of the city of York to signify ‘Yorkshire’ generally; none of them it seems, deemed a white rose an appropriate symbol to depict on their standards. which interestingly, was depicted against a blue background. 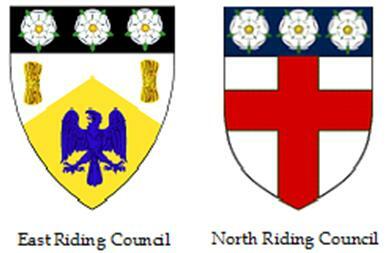 Whilst in chief, or at the top of the shield, on the West Riding arms, are three more white roses representing the three Ridings of the county of Yorkshire. This feature was common to all three Ridings’ council arms and is an unequivocal statement that a white rose represents Yorkshire generally. 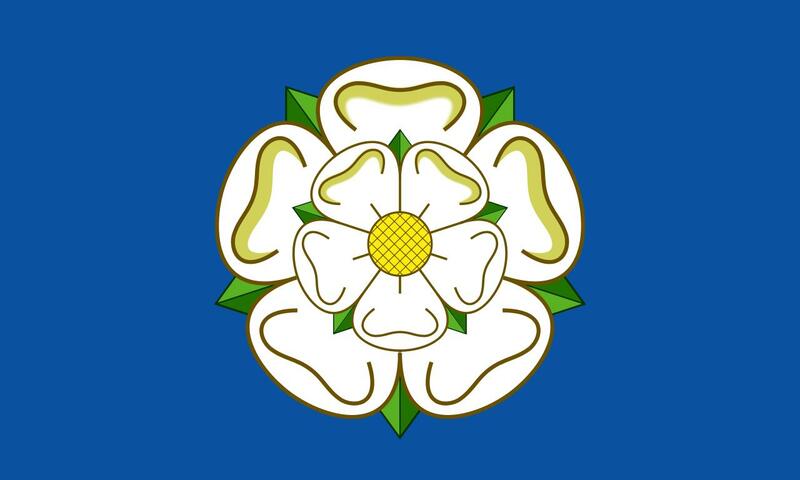 It was therefore inevitable that a white rose would feature on the county flag of Yorkshire but who first placed it upon a blue piece of cloth, appears to have been lost in the mists of the not far distant past. 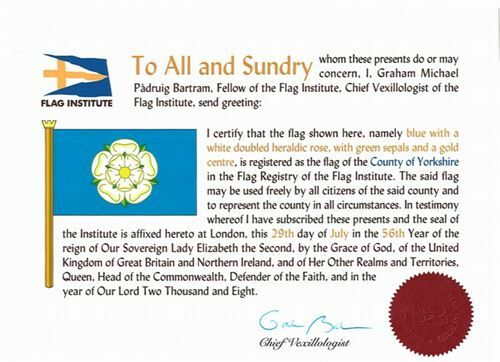 All references to the origin of the flag of Yorkshire speak of it having appeared in the 1960s, the registry itself dates the flag as from 1965, although exactly when, where and how this came about remains unclear. It is pure speculation but one conceivable inspiration for the blue flag bearing the white rose may be the colours and devices borne by the county cricket team. was designed by Lord Hawke, in the early days of his captaincy in the nineteenth century. Inspired by the use of a red rose by Lancashire, his rose however was not a real flower but featured eleven petals to represent the eleven players of the team. Yorkshire’s club colours are dark blue, light blue and yellow for the 1st eleven and plain blue for the 2nd eleven. These are knitted in bands forming the v-neck of each player’s sweater. The limited overs team, Yorkshire Vikings, wears the colours in the players’ overall uniforms. Use of these colours goes back to the start of the 20th century at least, although why these colours are used is unaccounted for. It does seem likely that with blue being so prominently used to represent the county in a sporting context that the colour became naturally accepted as the county colour, generally. As can be seen above, the club badge appears against a dark blue background and indeed a dark blue flag bearing this stylised white rose is raised during matches as seen here in this photo from Scarborough in 2003.
suggesting that the notion of (dark) blue for Yorkshire took root many decades ago. This adoption itself, may also have been influenced by the cricket club’s practice. along with a series of stickers depicting the arms associated with each county – basically those used by the former county councils in most cases. 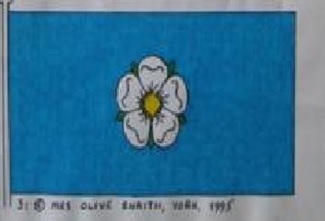 There was of course no Yorkshire county council so it was necessary to invent the “arms” issued for this county and the sticker for Yorkshire shows a white rose on a, red, background! The chart and stickers also appeared in an article in the publication “The Coat of Arms” no.153 (Spring 1991) by Ralph Brocklebank who remarks on the red field, which remains unexplained. One wonders if the red shield in this chart may have been inspired by the arms of the former West Riding Council – which was partly red and featured a large white rose? Brocklebank himself suggests that the West Riding council arms could be used to represent the whole county (as previously noted), rather than just a rose on a plain field, red or blue. The blue flag was promoted by the Yorkshire Ridings Society (YRS) which was formed in 1974, in the wake of the legislation which abolished the Riding councils, to preserve the county’s true, whole, identity. Again, exactly when the society first started to promote the blue flag is unclear; it was operating in 1989 so if the blue flag was being promoted at this time the red shield on the “This England” chart is curiouser still! By the turn of the twenty first century the blue flag had become quite prominent and with the advent of the Flag Institute’s registry moves were made to see the design registered as the county flag. The YRS cited the case of a Ryedale farmer who in 2003 was summonsed, but not prosecuted, for flying the “Yorkshire flag” at a time before the liberalisation of flag flying regulations and that this was one of the motivations to secure registration of the design. Its ultimate registration was not completely without controversy however. 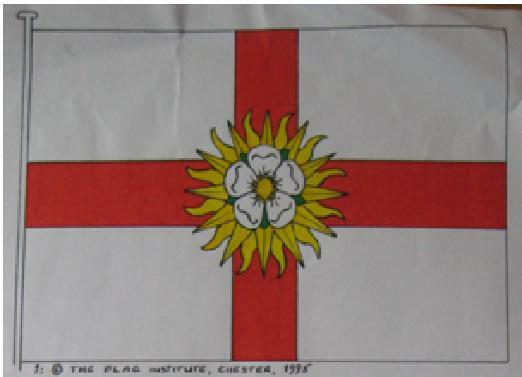 The late William Crampton, founder of the Flag Institute, had considered a possible Yorkshire flag in the 1990’s, which placed the rose en soleil, now firmly associated with county, at the centre of a Saint George’s cross. Michael Faul’s, (later editor of the Flag Institute’s journal, Flagmster,) design had a Scandinavian cross in English colours, in recognition of the lengthy and significant Dano-Norwegian presence in York and the surrounding county, a neat encapsulation of the region’s history. 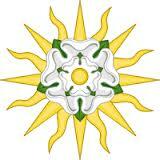 The rose en soleil emblem of Yorkshire was retained. 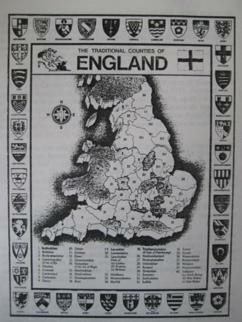 This latter version became an established contender for the county flag and was taken up by the Yorkshire Dialect Society and the “Campaign for Yorkshire”, which sought to establish a Yorkshire parliament. having been formally presented to the Lord Mayor of Kingston-Upon-Hull at the end of July 2008. 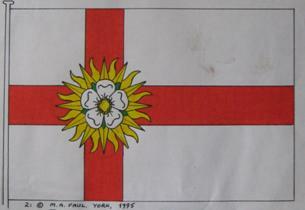 In 2013, Michael Faul’s flag was submitted to the competition to select a flag for the West Riding. With its colour scheme of red and white and its use of the rose en soleil device the design was similar to the arms of the former West Riding Council so there was a certain familiarity in the pattern. The flag was the winning entry in the competition and was duly registered as the flag of the West Riding by the Flag Institute on May 23rd 2013. As has been remarked the Yorkshire flag in earlier days had been dark, like the colour of the flag used by the Yorkshire County Cricket Club. 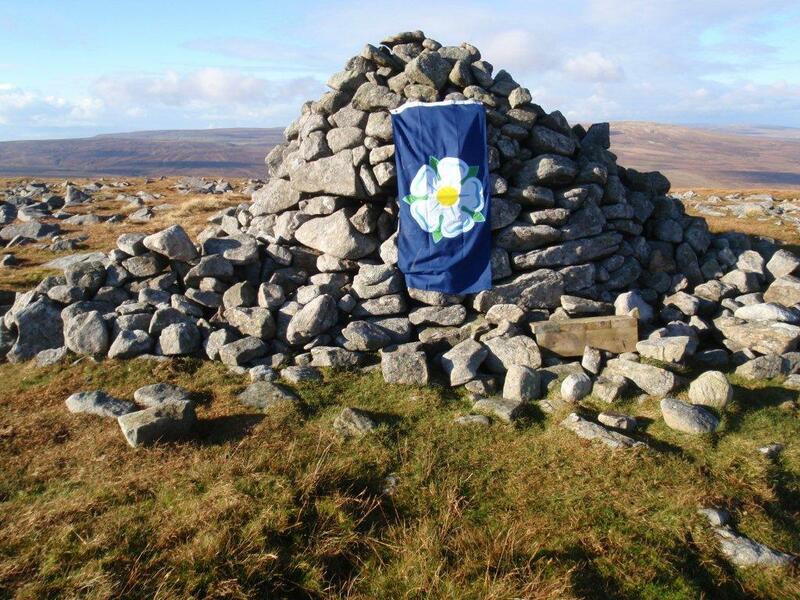 Here is a Yorkshire flag in a dark shade, displayed at Mickle Fell, the highest point in the county, which was purchased in April 2008, two months before the Yorkshire flag’s registration. This shade is the one used in the Scottish national flag, not quite as dark as the early versions of the flag but not varying from it by a great degree. 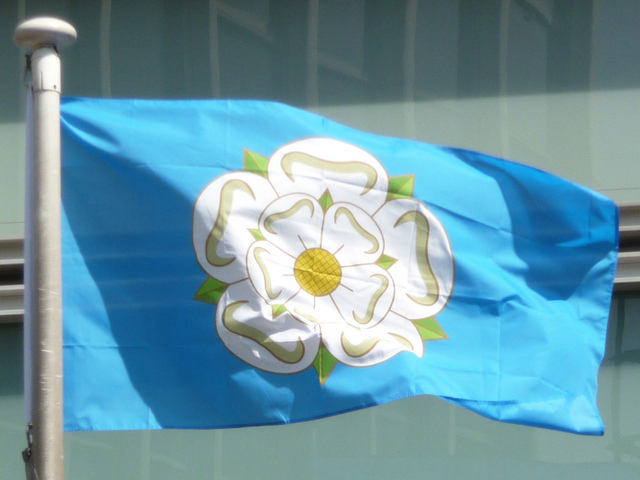 In practice however, the adoption of this slightly lighter blue shade appears to have given rise to the production of Yorkshire flags of an extremely light blue colour as evidenced by this version flying outside the Department for Communities and Local Government in 2010. Such very light blue flags appear to originate in the Far East where perhaps the guide of pantone shades is not recognised or followed. The orientation of the rose is also worthy of consideration. The rose in the registered design sits on one sepal, forming the base of a letter “Y” for Yorkshire, with the other two sepals at either side of the top petal. 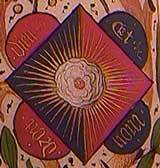 However, in the East Riding the tradition holds that the rose is depicted with a sepal at the top, that is, the inverse of the registered rose. 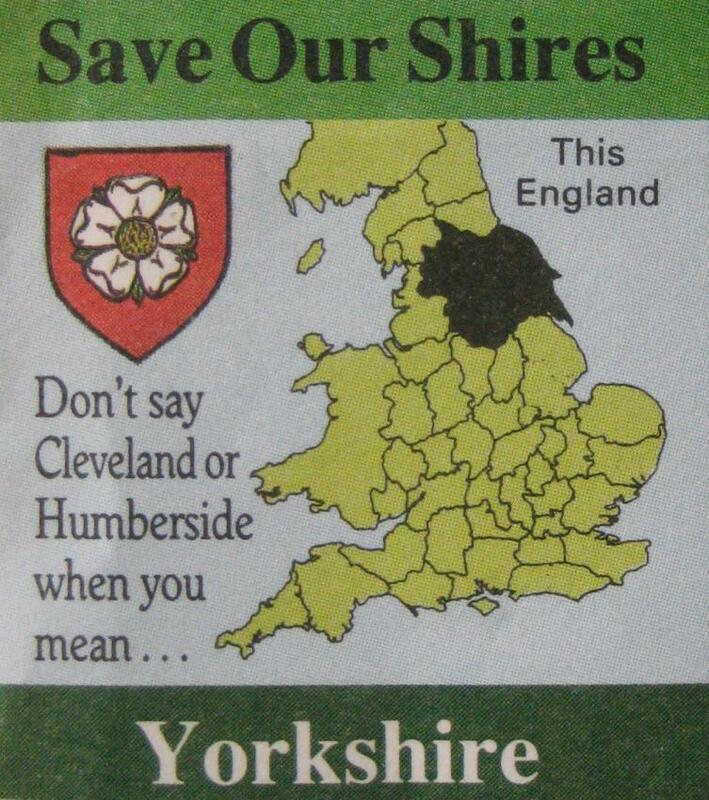 It is posited that this reflects the fact that, as noted previously, not every land owner in Yorkshire supported the Yorkist claim to the throne, especially in the East Riding! This was not reflected however in the orientation of the white roses used in the arms of the East Riding Council. The date of the battle of Minden, August 1st and the subsequent reported wearing of white roses by the Yorkshire regiment, is now commemorated as Yorkshire Day, when white roses are worn and the Yorkshire flag is raised. 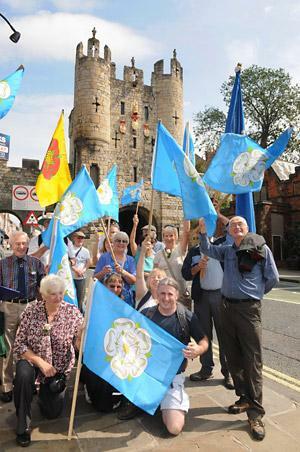 This photo depicts celebrations in Micklegate, York in 2011.
was carried by 18 children at Scarborough as the Yorkshire cricket team walked on to the pitch to face Worcestershire in the County Championship. The tourism body “Welcome to Yorkshire” said it had commissioned the world’s largest Yorkshire flag as a “special way” to support cricket. With thanks to Ian Sumner, Flag Institute librarian, for additional research and images.